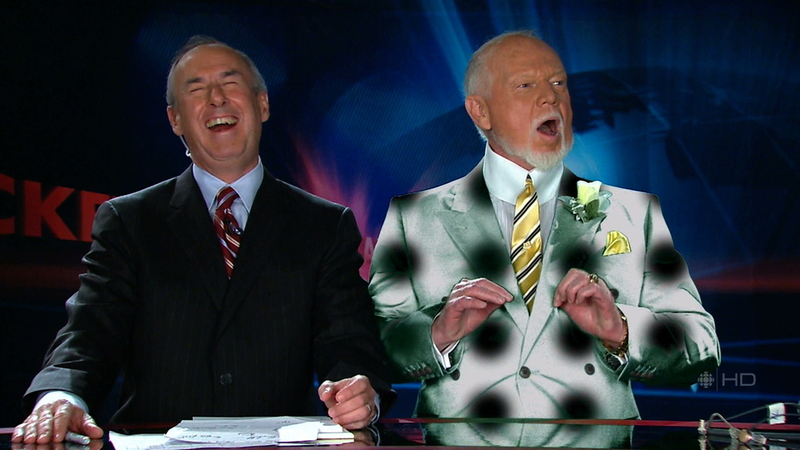 During the second intermission of last night’s Vancouver–Chicago Game 3, the Hockey Night in Canada crew had a bit of fun with their green-screen technology. 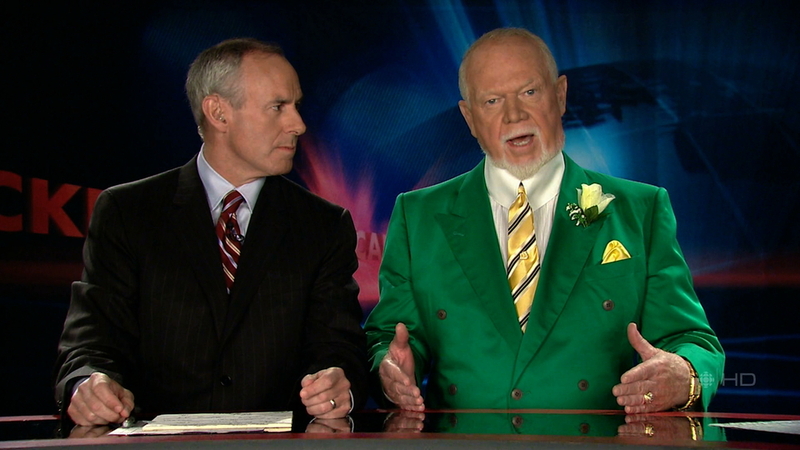 Since Don’s suit was solid green—as we previously saw on St. Patrick’s Day—they were able to remove the colour and replace it with a pattern. Since the on-screen manipulation was even more amusing than the outlandish triple-breasted suit jacket, I’ll put that picture first. I love how gleeful Ron looks in the first picture. Ahaha. Where did you get those suits?? ?